Once you get the Lightroom presets, the next step is installation. Presets help you in editing the image as per your requirements. Adjust the exposure or the white balance sliders. 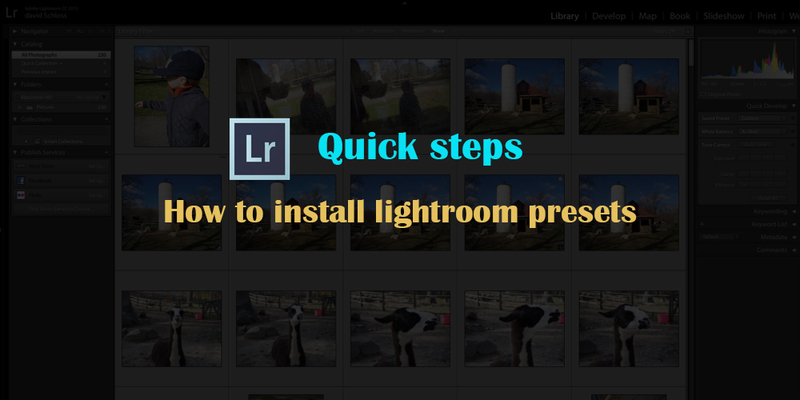 Let us check out the quick steps for Lightroom installation. Download the zip file of the presets to your desktop/laptop/computer. Locate the zip file on the computer and start extracting the files on lightroom presets. On a MAC device, double click the zip folder to unzip the files. On a PC device, right-click the file select the option ’Extract all’. Do take note of the place of storage of your extracted files, as we require it in the later steps. Open Lightroom and click ‘edit’ on the PC device and ‘lightroom’ on the Mac device. Now select ‘preferences’ from the drop-down menu. Now click on the ‘presets’ tab. Locate and open the folder ‘lightroom’ by double-clicking on it. Click the ‘develop presets’ folder. Copy and paste this extracted folder ( the saved presets folder)from the downloaded presets into the ‘Develop presets’ folder. We are almost done. Just close and open ’lightroom’ and the presets get imported and are ready to be used. Download the presets zip file to your computer. Start extracting the files from the zip folder. On a MAC device, double click the zip folder to unzip the files. On a PC device, right-click the file select the option ’Extract all’. Do take note of the place of storage of your extracted files, as we require it in the later steps. 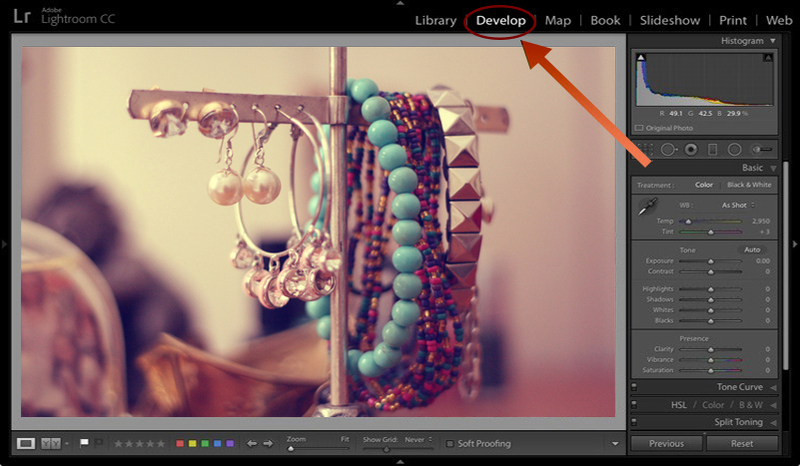 In Lightroom app, open the ‘Develop’ module by clicking on it. 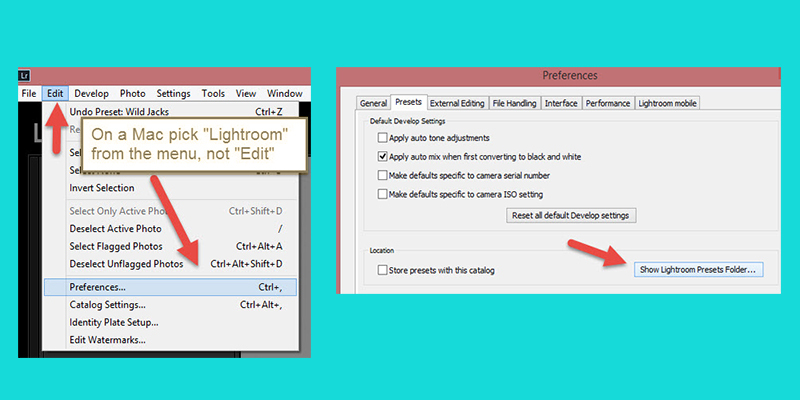 Create a ‘lightroom’ folder by any of the three ways given below. Note – Do not right-click’presets’ on the presets panel, or else it will not work. Click on any area below the ‘presets’ header. Click Control+Alt+N (PC), Command+Option+N (MAC) to create a new folder. Click “Develop” module in the top left menu, select ‘new preset folder’ from the drop-down menu, and click it. Name the folder. Right-click on a preset name/preset folderÞ select “new folder” ÞName the folder. Import the presets into the new folder. Right-click on the folder name and click ‘import’. Locate the unzipped folder that was extracted from the zip file. Select all the presets in the folder and click ’import’. Note- the preset files should have .lrtemplate as the file name extension. The preset files have been imported and installed. 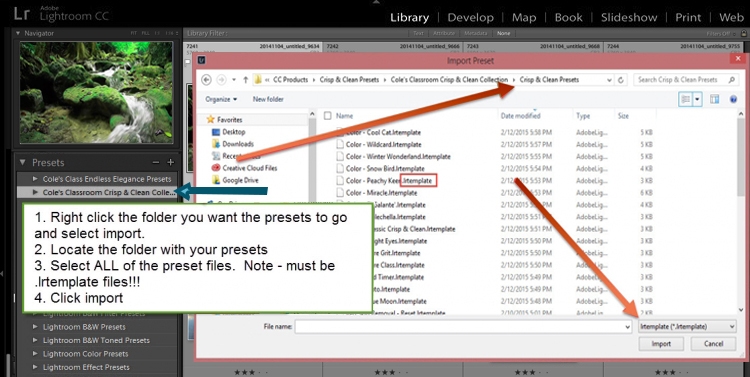 If you cnnot see a presets window, check and ensure that you are in the Develop module and not the Library module. The ‘store presets in this catalog’ is always unchecked. If the ‘presets’ are not visible, recheck that you have copied the downloaded presets into the correct Lightroom folder.